First impressions count. Remember this is first and only time the judge or jury will see you. It is important that you impress the jury/judge with how good a witness you will be and also that you aren’t sitting in the courtroom picking your nose or your ear during other witness testimony. Pay attention and take notes. You may catch something your lawyer misses. You should appear dressed professionally and cleanly. Appearances matter. For men, long sleeve, button-down shirt and slacks if you don’t own a suit. Women, no plunging necklines and nothing above the knee. If you don’t understand the question, ask that it be explained. Answer all questions directly, giving clear and concise answers to the questions, and STOP TALKING. Especially on cross, never volunteer any information, wait until the question is asked–answer it and STOP. If you can answer “Yes” or “No,” do so and STOP. Be on TIME and modestly and conservatively DRESSED and groomed. Leave the Rolex watch, gold chains, jewelry, and “rock” rings at home. Cover all tattoos. Some judges/jurors may care. Treat all persons in the courtroom with RESPECT. Don’t be afraid of the lawyers. Your lawyer will handle the lawyers for you. Jurors and judges are watching you AT ALL TIMES, even to and from your car, in the elevator, in the hallway. All impressions matter. IT IS IMPERATIVE that you arrange to discuss your trial with your attorney in advance of the hearing. You should prepare a list of questions or concerns about how to respond to certain lines of inquiry. You may not get a break. If you need to use the restroom, ask. Or better yet do it before or at an appropriate break time. Try not to stop. Try not to become upset over the length, or detail of the questions. The opposing lawyer will try to wear you down. Do not chew gum while testifying. If your answer was WRONG, correct it immediately, or as soon as you realize you made an error. Stay with the facts and testify to only what you PERSONALLY KNOW. Testify only to FACTS and do not attempt to give opinions, estimates, or approximations unless you have good reason for knowing such matters. If you don’t know, ADMIT IT. Some witnesses think they should have an answer for every question asked. You cannot know all the facts and you do yourself a disservice if you attempt to testify to facts with which you are not acquainted. It is IMPERATIVE that you be honest and straightforward in your testimony. You must tell the truth at this hearing. YOU CANNOT CHANGE YOUR TESTIMONY LATER. Your trial is the time to tell your story and win your case, but don’t do the other side’s job for them. Therefore, ONLY ANSWER THE QUESTIONS ASKED on cross and answer them with as few words as possible. Sometimes lawyers are dumb and will ask you a wide-open question that you think is an easy home run for your case. It may be, but be careful, but if you are prepared, you could hit it out of the park. Do not answer a question unless you have heard it and clearly UNDERSTAND IT. Don’t GUESS. If there is something that you don’t know, admit that you don’t know it. If we object to a question, STOP TALKING. After we object the judge will instruct you to either answer the question or not to answer it. REMEMBER, the most important aspect of this case is YOU and the APPEARANCE you make. 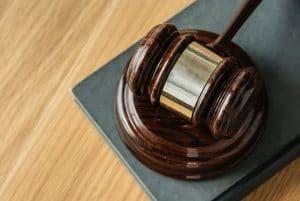 If you testify with earnestness, fairness and honesty and, if you keep these suggestions in mind you will be taking a great stride toward WINNING YOUR CASE. To put your best foot forward, contact ENLawyers with your legal problem and get in touch with one of our attorneys.